This chair can be your perfect companion for enjoying the outdoors while reading a book or enjoying a hot cup of coffee. 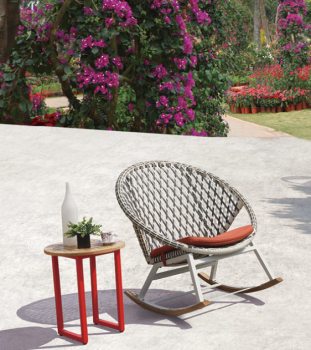 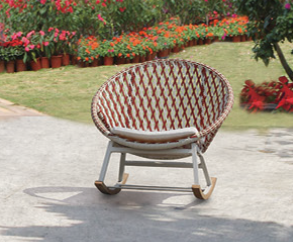 Reading your favorite book in a serene garden area is simply mesmerizing! 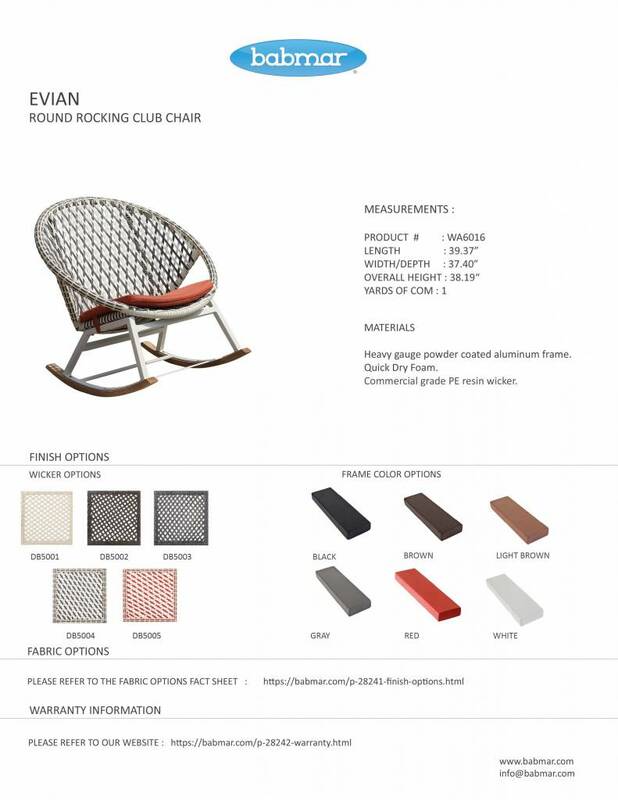 Here, the Evian Rocking Club Chair acts as an amazing companion to provide a comfy seating place. 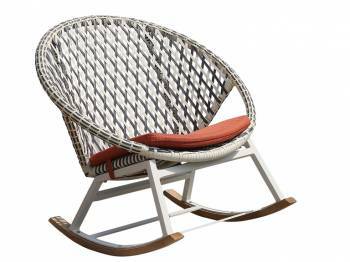 Uniformly-sized by using rust-free aluminum, this round rocking chair features durability and style.